Rainier hiking Narada Falls is something of an open secret. Everyone else drives up to Paradise for the easy trails, wildflower meadows, and achingly beautiful view of The Mountain. You, however, are about to discover some great hiking on a little traveled trail, perfect for the days when Mount Rainier is hidden in clouds or drizzle or you just want to slow down and savor life. Shhhhh! It's our little secret, okay? There is free parking at Narada Falls and Paradise. Narada Falls cascades 175 feet in a horsetail manner, creating huge sprays and a thunderous noise for your auditory and viewing pleasure. I'm not kidding about the thunder. Warning: This video might catch you off guard with the forceful rush of the water! This is one of the most versatile and little used trails in all of Mount Rainier National Park. 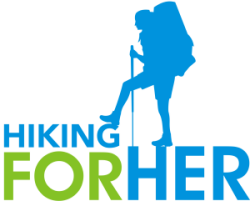 So let's give you all of the options to make this hike exactly what you're craving. Truth be told, you can drive about 14 miles and park in the Narada Falls parking lot, using the Nisqually Entrance (Paradise). The short but steep trail down to the base of the falls is wet and slippery, so keep a tight grip on wobbly folks. The viewpoint is well worth the descent! From the upper day use area, you can wander among the trees for awhile and then use your car to access the Paradise Highway to climb up and up for fantastic views of Mount Rainier. Leave your car in the Paradise parking lot and lose 900 feet of elevation over a mile and half or so. It will take about an hour at an easy pace, but what an hour! 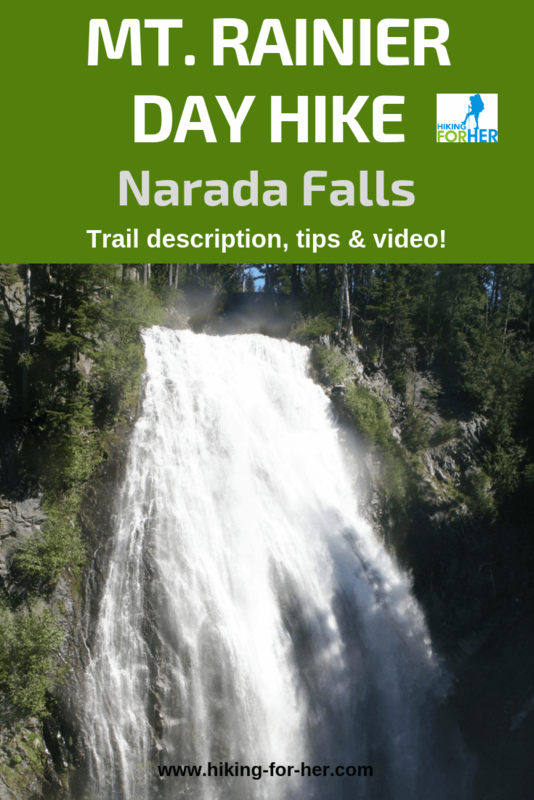 The footing is solid, the ferny forest is dense and intriguing, and you'll have the constant music of rushing water all the way down to Narada Falls. The day use area will be buzzing with people as you exit the forest near the restrooms. I know you will find this to be a shocking revelation, but not every day at Mount Rainier National Park is sunny. If you happen to be at Paradise on a foggy, cloudy or drizzly day, don't despair! This hike gives you a lot of beauty and serenity when Mount Rainier isn't "out". The trailhead is a bit tricky to find, so ask at the visitor's center for directions. You will need to head east, walking beside the Stevens Canyon one-way downhill road. Keep a sharp watch for the Lakes Trail as it plunges off on the right hand side. Once you're off the road, you'll enjoy walking through an open meadow in Paradise Valley until the trail plunges into the forest. The Lakes Trail veers off to your left, and if you're up for it, you can make a loop by going to Reflection Lakes before ending up at Narada Falls. You will stay on the Narada trail and cross Stevens Canyon Road less than a mile further down hill, to regain the trail as it continues downward in the cool cover of the forest. Be sure to enjoy the various river viewpoints before you reach the Narada Falls parking area. It will be busy with cars and people, a jarring contrast to your previous hour along Paradise River. Here's the secret: hiking back up to Paradise isn't much of a chore on the well maintained, well graded trail. And you'll have the river viewpoints mostly to yourself! If you're staying at Longmire National Inn or Paradise Inn, you can hike from Longmire to Paradise (or vice versa) and back again in one long day. You'll be looking at a round trip of 14 miles, with an elevation gain and loss of 2,800 feet. Take it slow, bring lots of snacks, and enjoy each and every sight, sound and texture of this lovely trail. Crossing the Nisqually River's raging waters on a footbridge is just one highlight (see video). You could also make a shorter round trip from Cougar Campground (past Longmire) up to Narada Falls and back. You will admire the beautifully made stone bridge across the Paradise River at the top of the falls. But it should be your first clue that this a rocky area. If you're going to take the short but steep trail to the base of the falls for your best viewpoint, it's going to be both rocky and wet. Spray from the falls keeps it that way 24/7. The best viewing time is midday, when the sun hits the water just right. But really, any time is the right time to take in this spectacular waterfall. Just be cautious with footing if you have companions who aren't steady on their feet. The name of the falls gives a nod to the Narada Theosophical Society in Tacoma, Wa. It was bestowed upon this beautiful spillage of water in 1893 by Frederick Gordon Plummer, a member of the Society. FYI: Plummer Peak, right next door to Pinnacle Peak, makes a fine day hike destination and leaves from Reflection Lakes just beyond the Paradise area. Find the trail description, photos and video here. If your idea of heaven is the sight and sound of cascading water, this is your hike. Where else can you spend all day communing with clear, clean, musical water? On a rainy day, you can use the indoor plumbing and sitting space at the Narada Falls public restrooms for a snack, diaper change, or to rest before you continue on with your day. On a fine sunny day, use the picnic tables located near the parking area to share your lunch with stellar jays (see video). The Paradise River will provide the musical accompaniment no matter when you're visiting.